If Millennials are your target marketing audience, you might be struggling to reach this group of people. Their consumer behavior is different from generations before them and typical forms of advertising have no effect on them. So, how do you reach this generation if traditional forms of marketing won’t work? Don’t worry - if you’ve come across this blog while doing research on “how to market to Millennials”, you’re already on the right track to putting yourself into their mindset. Research is a key component of Millennial decision-making. Studies show that 93% of Millennials will read reviews prior to making any purchases. Millennials do their homework and one of the important factors to marketing to this generation is to provide them with the answers before someone else does. Transparency and availability across all platforms is essential to creating a positive perception of your company and brand. Keeping information hidden will only cause Millennials to search elsewhere for the same product or service you are offering. Be forthright about all information regarding your company, including price and any social issues you are involved in. When trying to provide researchable information to the Millennial group, you have to do your own homework to find out where they go to research. We’ve made a list of the three main areas to place your information for Millennial research purposes. However, you can narrow this down based off of your own buyer personas. Social Media is a great place to start when providing researchable information to Millennials. Studies show that when consumers use social media as a part of their decision making, they are 29% more likely to make a same day purchase. 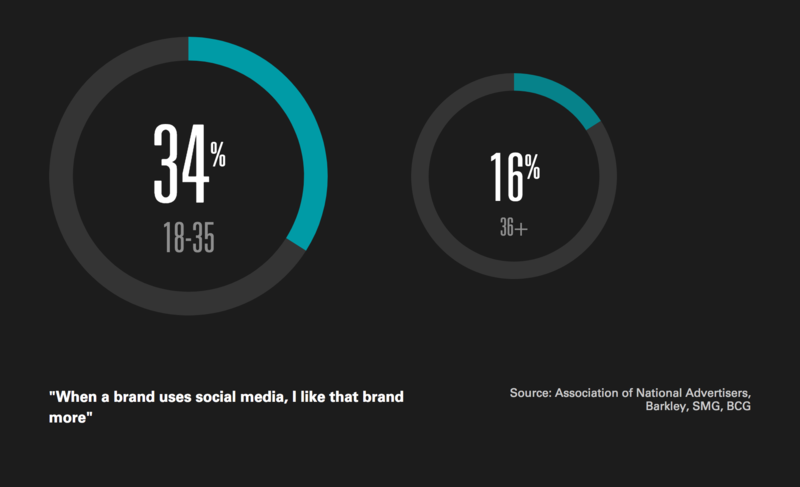 When surveyed, 34% of Millennials stated that they liked a brand more if the brand is active on social media. This proves the importance of having your information accessible and available for Millennials to see on these platforms. The key to using social media as a marketing tool during the research phase of Millennial purchasing is to facilitate user interaction and reviews. By activating these three tools on your social media accounts, you are allowing your current customers to spread your information for you. This creates a sense of authenticity for your brand and allows Millennials to research and make a purchase decision without being sold to. Blogging is another area where Millennials will go when researching their purchases. Studies show that Millennials are more likely to trust experts (bloggers, professional reviewers, etc.) even if they are strangers when it comes to making purchasing decisions. While having information on your own blog is extremely important, so is being present on other blogs. Although it is important for you to have information about your own company in the form of blog posts, it is also important for other blogs to discuss your product or service as well. By connecting with influencers and blogs that post product reviews, you can establish yourself as a reputable brand for Millennials doing research on your product or service. The final area Millennials will utilize to research your product is your own website. 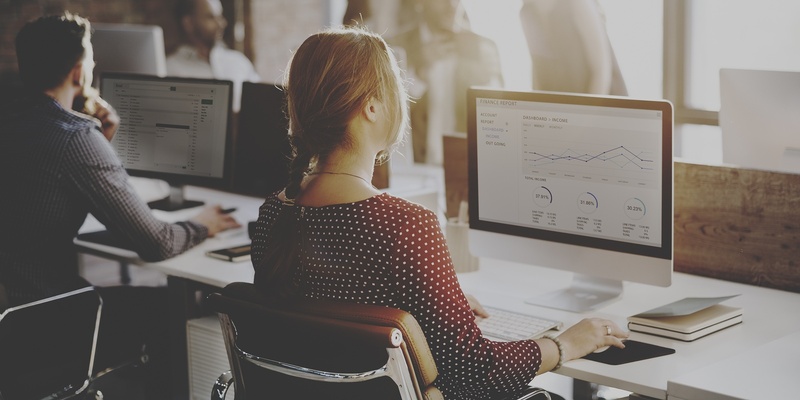 While it is important for companies to be present and transparent across multiple channels, they should not forget their own starting point of communication - their website. The best way to put our your company information is to make it easy for Millennials to perform their research on your own website. Although it may not seem like it, including opportunities for research is an essential part of marketing to Millennials. Marketing to this generation includes making information about your company easily accessible during their research phase. By utilizing blogs, social media accounts, and your own website, you can create opportunities for research that will cater to this group and provide them with the information needed to make purchasing decisions. If you are looking to target Millennials with your inbound marketing strategy, you need to create a buyer persona. Download our free buyer persona template which is used by i5 for both our own personas and our clients' personas!